Jammeh speaks at the D.C. Newseum at the invitation of the Human Rights Campaign during an award ceremony and reception in December 2015. 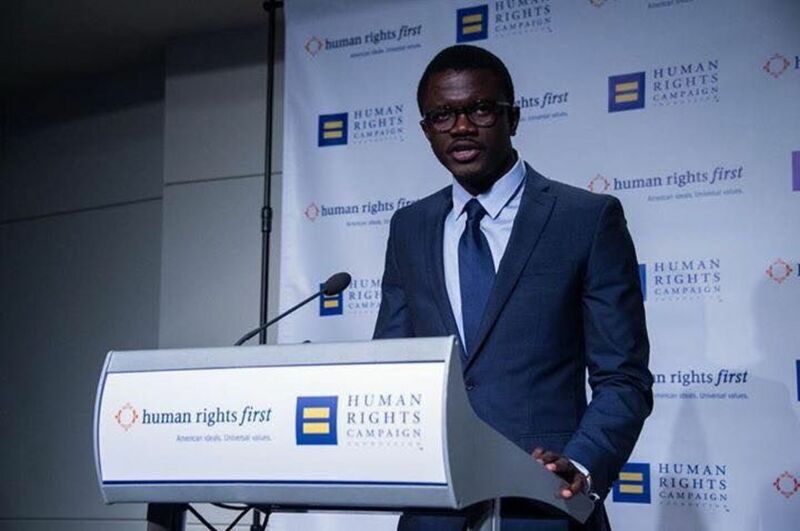 He has spoken at multiple venues since he was forced to seek asylum in the U.S. and rebuild his life for advocating for gay rights, out of line with the governmental views of his home country, The Gambia. Activism. It’s a word I hear or a concept I experience nearly every day. Around here, it’s normal to talk about the social justice causes we’re involved in or the marches in which we’ve participated. It’s no surprise that a sense of commitment fills up the greater Whitman community made up of many groups of like-minded, social justice-oriented individuals with access to countless resources and organizations in the metropolitan area. However, with so many ways to become young activists in a community that fosters advocacy, deviation and progress, it becomes harder to contextualize our actions as being anything other than the supported norm. But it’s important to consider each activist and their individual story. Many won’t have access to the same opportunities we do and live in communities where taking action carries grave consequences. Some even stumble upon activism accidentally. The question we should be asking is: what are the more unlikely ways people come to activism, and how can we truly begin to appreciate their journey? To clarify, ‘accidental’ doesn’t imply any less commitment or motivation—far from it; it simply entails making the most of an unplanned situation or series of coincidences. A family friend of mine, Alagie Jammeh, began his extraordinary-yet-unlikely journey in activism as one of a over a million international students who study in the United States each year—looking to broaden his horizons, but with every intention of returning home. For him, this was the tiny West African country, The Republic of the Gambia. No one should be denied of their fundamental human rights because of their sexuality. Then everything changed for Jammeh. Forever. In the Whitman community, such a post would hardly be remarkable; in fact I would expect to see this level of understanding and support extended to all different groups in our community. Jammeh instead opened messages from The Gambia where family and friends expressed shock and anger over his post. Some disowned him, and others warned him, reminding him even those few words were severely out of line with the president’s views. The problem? Then-president Yahya Jammeh was his uncle. When firmer news arrived, it wasn’t good: the Gambian government retracted his scholarship. Even worse, if he were to return home, he would have faced incarceration or even execution. The same is sadly true today, he believes, even with a change of presidential power since. Jammeh’s post cost him almost everything. 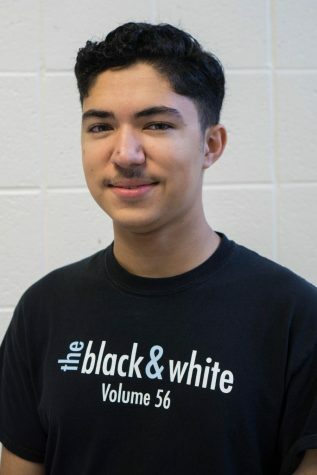 After his funding was pulled, he grappled with homelessness while still attempting keep his grades up. He felt isolated and alienated, battled depression, and was once on the brink of suicide. What is so telling in Jammeh’s case is that before learning of his friend’s gay identity, his perception was shaped solely by his experience in The Gambia, under a leader who threatened to slit the throats of homosexuals. There, the notion that homosexuals are inherently iniquitous is the norm. Jammeh had never met an openly gay person before. Yet, he chose to shift his views based on what he thought was inherently morally righteous in spite of his prior experience, deciding to stand by this decision despite facing the repercussions of his government. He spoke up, doing what he could for human rights, as a college student—a small action from which he didn’t expect any reaction. By chance, one thing led to another; Jammeh allied himself with the cause, then moved forward to find a home-away-from-home post-exile. He forged his own alliances in the California community, then worked to graduate from college without the scholarship, obtaining a green card. He became a steadfast human rights advocate, even speaking to school groups. I admire his drive to relocate to D.C., pursuing jobs that make a difference in human rights. Through one of my extended family who worked with foreign students at UCSB, I am proud to say my family and I met and hosted Jammeh, helping him find a place to live as he continued adjusting and searching for work. Facing adversity for him may not yet be over, nor are his circumstances now perfect. He has had to trial with different organizations like Amnesty International while working other supplementary jobs in retail and office-clerking. But he isn’t stopping the search for his life’s calling: the human rights field. I know he has it in him to make it far in his dream. Participating in his arrival to this community, getting to know him, listening and exchanging from his astoundingly powerful and beautiful experiences has been and still is a pleasure for me. His story speaks to each individual’s ability to make a difference towards a bigger moral issue, no matter who they are or where they come from. Jammeh has maintained a dream of eventually returning to The Gambia and holds high hopes that social prejudices can change with time. Though these might be ambitious goals, there is the hope that his story could one day demonstrate how unintentional events followed by sheer and simple perseverance can bring about great change. For Jammeh, and other ‘accidental activists,’ maybe progress isn’t such a long shot. And now, I can count myself a part of that progress. I’m proud to say I’m more attuned to look out for the small ways in which greater equity can be found in the lives of all humans. If I had been asked a year ago would I have been given the opportunity to know such a moral, brave and resilient person as Jammeh with his difficulties, I don’t know if I would’ve thought it. I now really know how profoundly meaningful activism can start; an ordinary, friendly social media post and a few dedicated allies can go a long way. Great article. Makes us all appreciate the freedom of speech we enjoy here. We wish him the best. Thank you for writing an informative and sensitive article Naren Roy.